Hi, this is Ganesh from Hyderabad, INDIA. Absolutely this is the intention of God. 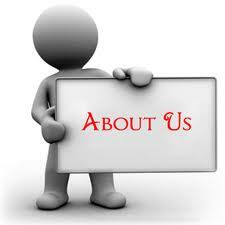 Previously I worked in software technologies, 25 Years of experience in Information Technology. I have been developing this since 10 years. 7 years it was in a blog. I put into a domain with hosting in June 2016. Working individually, I put multiple business opportunities in this website. Especially this is the website for multiple business ideas and etc. I put in this website, Earn Online, Work from Home, Articles relating to small business owners, Consultants, Dealers, home-workers. About MSME (Micro Small Medium Enterprises) details. I want to give a hope in them about fundamental ideas. I used technologies front-end HTML, for functional work PHP, Back-end Database Mysql. Web pages provided about HTML, PHP, Mysql, Blogging, Cloud Computing, ERP, CRM, SCM, basic information to get awareness, for overall view. I did not put any login, password setup. Everyone can view and get the details, directly for their individual interest, survival and work.I want to provide a hope in people, for Individual works, Work form, Earn Money, small business ideas etc. I provided one page Description to get an idea at a glance for software guys, about all types of technologies. I provided 30 Ebooks for easy to review, see and print. Advantage of E-Book is, we can download and print, then we can see without internet & computer for reading in home. I want blessings of you in this journey. Wishing you all. Chief Blogger: Boyina Venkata Ganesh. Contact Mobile: 9492 08 1965. Terms and Conditions: Open access to all. Login: No Login/Password, it is open to all. Contact Number: (+91) 9492 08 1965. (Mobile). Website Name: See Your Needs. Donate as you like to our website.